In 1763, the Seven Years' War ended in a spectacular victory for the British. The French army agreed to leave North America, but many Native Americans, fearing that the British Empire would expand onto their lands and conquer them, refused to lay down their weapons. Under the leadership of a shrewd Ottawa warrior named Pontiac, they kept fighting for their freedom, capturing several British forts and devastating many of the westernmost colonial settlements. The British, battered from the costly war, needed to stop the violent attacks on their borderlands. Peace with Pontiac was their only option--if they could convince him to negotiate. Enter George Croghan, a wily trader-turned-diplomat with close ties to Native Americans. Under the wary eye of the British commander-in-chief, Croghan organized one of the largest peace offerings ever assembled and began a daring voyage into the interior of North America in search of Pontiac. Meanwhile, a ragtag group of frontiersmen set about stopping this peace deal in its tracks. Furious at the Empire for capitulating to Native groups, whom they considered their sworn enemies, and suspicious of Croghan's intentions, these colonists turned Native American tactics of warfare on the British Empire. Dressing as Native Americans and smearing their faces in charcoal, these frontiersmen, known as the Black Boys, launched targeted assaults to destroy Croghan's peace offering before it could be delivered. 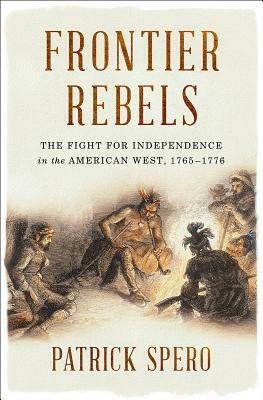 The outcome of these interwoven struggles would determine whose independence would prevail on the American frontier--whether freedom would be defined by the British, Native Americans, or colonial settlers.